and weekends (6.00pm-2.00am) for dinner. NESTLED in between a high density commercial area of Mutiara Damansara, Petaling Jaya, you will find a unique beer cafe. 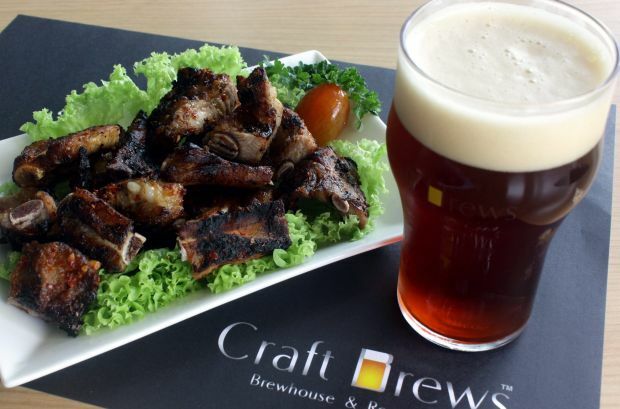 Aptly called Craft Brews, patrons here are served premium quality craft beers imported from two international microbreweries — Rogue Ales Brewery from the US and RedDot Brewhouse from Singapore. Slurp! 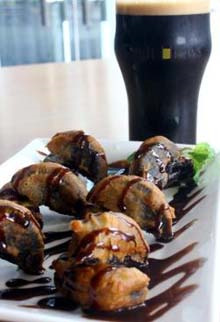 : Deep Fried Oreos goes well with the Chocolate Stout. One of the owners Khong Yao Han said the initial plans for the establishment was to set up a craft brewery here but due to the country’s licensing policy they could not. “Craft brewing is an approach to brew beer of the highest quality to emphasise on its versatility and a range of textures and tastes. Great lengths are taken to personally oversee selection of ingredients, brewing process and carefully monitoring of flavour and quality. “Unlike mass market beers, craft beer is not brewed in multiple facilities, thus producing an end result with a fuller and more complex flavour. With the increased percentage of speciality malt and hop ingredient, it is brewed for the appreciation of its unique flavour, appearance and aroma. You’ll experience flavours and aromas not found in the typical light lager style of beer popular throughout the world,” Khong said. “Craft brewers avoid fillers, thickeners and artificial flavourings. Instead they embrace a myriad amazing ingredients such as coriander, grains of paradise, honey, lavender, blueberries, orange peel, ginger and plenty of imagination in their brews. The favourite among the patrons is the crisp and refreshing medium bodied Dead Guy Ale and the sweet hazelnut brown nectar which leaves a nutty aftertaste. Craft Brews also have a selection of bottled beer on sale at selected supermarkets, namely Jaya Grocer, Empire, Village Grocer, Bangsar Village, O’Gourmet, Isetan KLCC and Isetan Lot 10.